The investments so necessary for the stable growth of the Ukrainian economy leave much to be desired. Investors are in no hurry to enter the Ukrainian market, and it’s not so much because of the situation in the east of the country, but because of corruption, poor business climate, and a slowdown in reform. Experts are convinced that if nothing changes in the near future, no investment growth is to be expected. Investment is a development driver for any country’s economy. The main prerequisites for capital inflows are transparent competitive relations in the market and secure property rights. Investments are a sign of economic stability and a consequence of the government’s successful policy. Meanwhile, the investments Ukraine needs so much to achieve a scheduled 3% growth have unfortunately not increased in their volumes. According to the latest data of the National Bank, the net inflow of foreign direct investment in 2017 was at $2.3 billion (26% of which account for capitalization). The net inflow of direct investments into the real sector of the economy amounted to $1.7 billion. In 2016, the figure was higher by a third - at $3.3 billion (with capitalization taking up 63%). 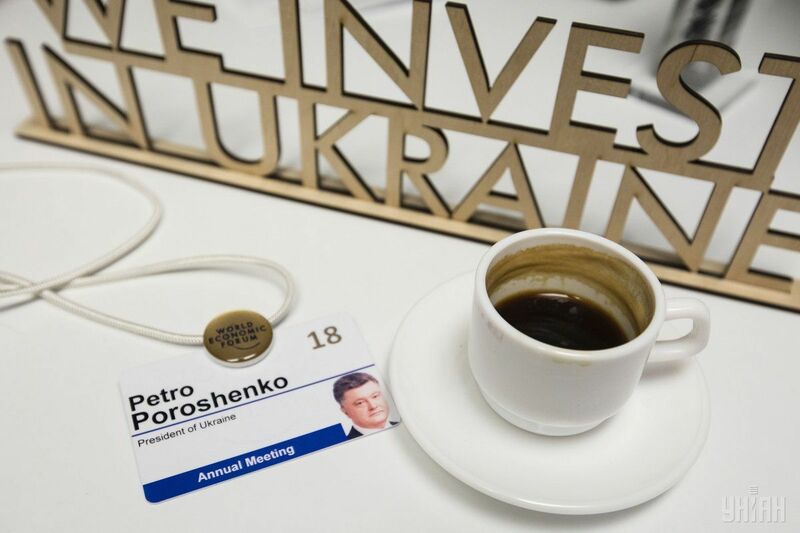 These figures are contrary to the statement of President Petro Poroshenko, who on the margins of the Davos economic forum said that the past year in Ukraine was a year of investment: "I am proud that this year  is the first time we see a lot of investment. We probably never saw what’s now happening in the investment market this year. " The amount of investment in the Ukrainian economy, received last year, also diverge from the plans of the Cabinet. Thus, the government expected an increase in the net inflow of foreign direct investment in 2017 to $4.5 billion. But according to the data of the Ministry of Economy, investments amounted to only $2 billion. And this is despite the fact that, according to experts, it is necessary to attract at least $20 billion dollars of investments annually to ensure stable growth of the Ukrainian economy. Active efforts of the authorities to remove barriers to businesses and transfer the economy to digital rails are not helping to fix the investment situation either. Although there are some positive shifts. Since 2014 - after the Revolution of Dignity - Ukraine has made a big leap, rising immediately 25 positions up in the World Bank's prestigious Doing Business ranking. Now Ukraine stands 76th - between Bhutan and Kyrgyzstan. Compared to last year, the country has risen four spots - from the 80th place. Success in four categories was what made Ukraine rise: "construction permits", "taxation" (due to the reduction and unification of the Unified Social Contribution), "connection to the electric grids" and "resolving insolvency". But in the majority of Doing Business indicators, Ukraine saw no previous success - in the remaining six categories the country has worsened its positions significantly: "founding of enterprises" (a drop from the 20th to the 52th spot), "protection of minority investors" (from 70th to 81st ), "receving loans" (from 20th to 29th), "foreign trade" (from 115th to 119th), "registration of property" (from 63rd to 64th) and "enforcement of contracts" (from 81st to 82nd). Despite the fact that the Ministry of Economic Development predicted that Ukraine could rise to the 70th spot in 2018 (this could potentially bring an additional $1 billion of investment in the country annually), this has not come true yet. Experts do not exclude that next year, on the contrary, it is likely that there will be an overall decline in indicators. This is not surprising since Ukraine is a vivid example of the trend of an investment recession on a global scale. According to the data published by the UN following the Conference on Trade and Development (UNCTAD), foreign direct investment worldwide in 2017 decreased by 16% - to $1.52 trillion against $1.81 trillion in 2016. The recession is recorded for the second consecutive year despite forecasts of leading analysts, suggesting a global increase in investment by 5% per year. The main reason is the Donald Trump administration’s policy with respect to multilateral economic treaties, as well as an imminent threat of Brexit, which provoked decreased activity of foreign buyers of companies in the United States and UK. In the transition economies, the investment indicator declined by 17%, to $55 billion (the lowest since 2005). This is due to the fact that investors are getting increasingly frustrated in transition economies, closely linked to the raw materials base, while the prices for raw materials are declining each year. But investors are deterred by more significant factors than the raw materials issue. According to experts, Ukraine, which remains a commodity economy, frightens off investors not so much by the situation in the east of the country, but by a poor business climate, virtual lack of respect for property rights, political instability, and dragging reforms. And most importantly, it’s grave corruption. Western partners, including U.S. and EU officials, are becoming more vocal about this significant factor. Basically, they call corruption in Ukraine a malignant tumor and state the regress in the fight against this shameful phenomenon. The same goes for businesses. According to a survey of top managers of more than 180 domestic and foreign companies carried out by the American Chamber of Commerce in Ukraine (ACC), the situation with corruption influence on businesses have worsened, which pushes the country back the level of 2014. Among obstacles in the fight against corruption, lack of political will tops the list (63%). The ACC is channeling concerns of businesses to state authorities, said the president of the American Chamber of Commerce, Andy Hunder, who believes that there is a clear message from businesses that top priority in improving the business climate in Ukraine is precisely to fight corruption. 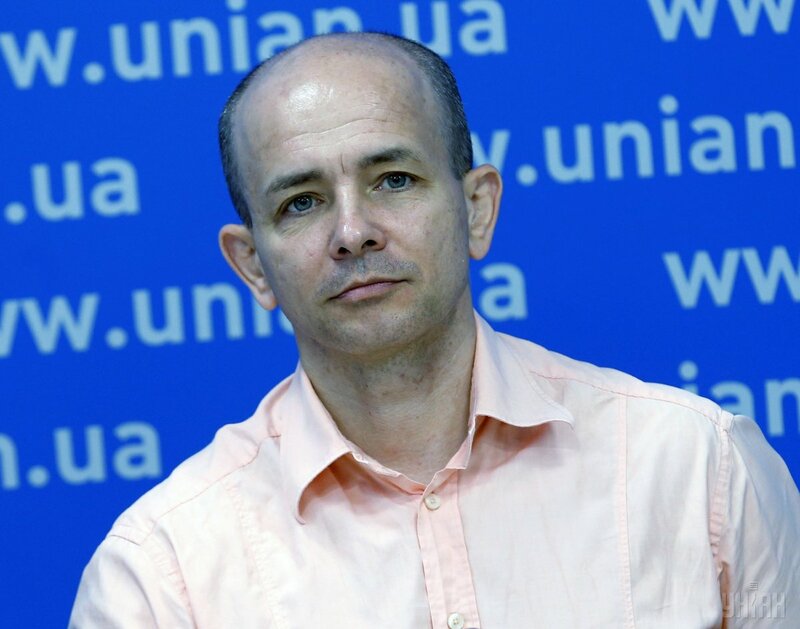 Head of the expert-analytical council of the Ukrainian Analytical Center, Borys Kushniruk, believes that corruption is indeed the main obstacle to attracting investments. "Corruption exists everywhere, in any country, but all this talking in Ukraine that we are about to tackle it are just naive. Overcoming corruption is not about fighting against corrupt officials, but eliminating something that generates it - redistribution of budget funds that fall into the pockets of those in power, as well as the profits of state enterprises and the shadow market of housing and communal services, and land relations. And as soon as the zones of corruption are eliminated, opportunities to steal will disappear as such. And then, investors will believe in our country," the expert said. Ilya Neskhodsky, director of the Institute of Social and Economic Information, shares this opinion: "Unambiguously, investors are deterred by the level of corruption, including in the taxation system and at customs. Such a phenomenon as arbitrary law enforcement raids has not been liquidated so far. So it turns out that no one is going to invest yet. " In the matter of attracting investments (and as one of the factors in the fight against corruption), the government also relies on large-scale privatization. According to Prime Minister Volodymyr Groysman, fair and transparent privatization conducted in accordance with the new legislation will allow attracting investments and technologies to Ukraine and, thereby, changing the model of the country's economy from the commodity type to an economy of added value. "We still have a commodity economy model. But we are developing a number of programs to change this model. For example, it’s about privatization. By selling assets at open biddings, we will attract investments and technologies. We are also launching an installment plan for some taxes (especially VAT) when people upgrade their equipment. We are interested in jobs here, taxes here, technologies here and salaries here," the head of government said. Today in Ukraine the state is the most inefficient owner, but there are more than 3,500 enterprises remaining in state ownership, of which 1,700 do not operate, and out of 1,800 operating companies, some 80% are unprofitable. Starting 2015, the privatization plan totaling $17 billion was being fulfilled only by 1-2%. Last year, budget revenues from the sale of state assets went up to UAH 3.4 billion due to the sale of a 25% stake in the energy companies Kyivenergo, Zakhidenergo, Dniproenergo, Dniprooblenergo, and Donetskoblenergo, which raises more questions than answers about transparency. In 2018, the government plans to get $22.5 billion from privatization. They plan to sell about 900 enterprises, among which 60 state assets are large ones. The Cabinet believes that the plans can be fulfilled. Western partners took the new privatization legislation positively, but at the same time, they note that successful privatization is not expected this year - it is only the beginning of the process of the future sale of several large objects. The experts hold the same opinion. "The law on privatization, of course, is a positive thing in the context of sales procedures being simplified and all obstacles on the way of investors - removed. But I think that the implementation of the law is very important as well. And until there is a successful case for the sale of state enterprises, which will testify to the transparency of the procedure, until there is competition and no abuse by officials, I will remain skeptical about privatization. At any stage, sabotage may even take place, even after the adoption of the law," Neskhodovsky noted. Director of the Blazer Foundation, Oleh Ustenko, believes that investors are unlikely to enter, including in terms of privatization, as it all depends on the quality of reform. "There are two main reforms that have not been carried out and without which no one will give any money. If we carry out an anti-corruption reform and transparent privatization, then there we will have an opportunity to get money and see a tsunami in early 2019," the expert concluded. Nevertheless, there is interest of investors to Ukraine, and all the government needs is to make efforts to justify this interest. "This is the first time that I have so many requests for a meeting from top players of the investment market. 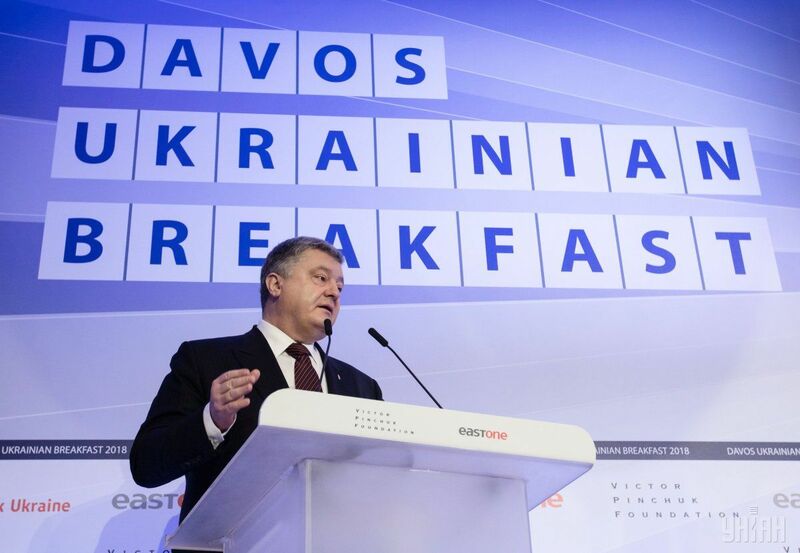 This has never happened before, there are so many top investors," Ukrainian President Petro Poroshenko said at the Davos Economic Forum. Experts confirm that investors' interest in Ukraine is indeed huge. According to Neskhodovsky, the main engines are cheap labor, sufficiently developed human capital in terms of education, cheap resources (compared to Ukraine’s neighbors), and the situation in the foreign exchange market, which makes production very attractive and quick to make profit. "The weakness of the hryvnia allows us to deliver products cheap enough, and then to receive a decent added value in the form of profit. 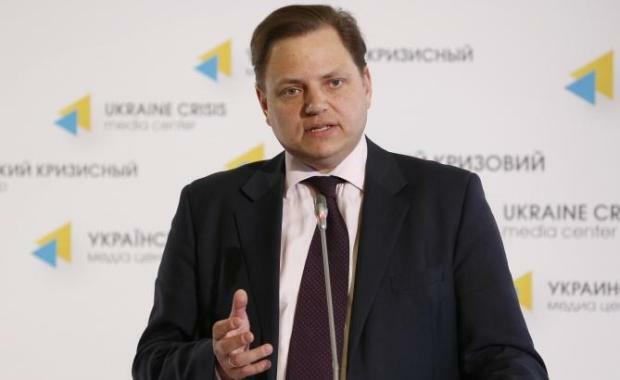 Plus, there is a free trade zone with the European Union," Neskhodovsky said. He believes that the agrarian sector is of the greatest interest to investors and it continues to be promising in the context of the potential opening of the farmland market, low taxation, infrastructure development, including port infrastructure. Also attractive are extractive industries, chemical industry, and energy. The IT sector is also tempting, where the taxation system is very simplified. "That is, investors are not interested in the sector of the economy with high added value. In general, there is a surplus of money in the world. Therefore, there is an opportunity to invest. But it’s only where there are prospects. Money is put where you can come quickly and get out quickly - the simplest spheres," Neskhodovsky noted. Kushniruk adds that alternative energy, as well as energy-saving technologies, is also interesting to investors: "Ukraine is an energy-intensive state, and if the energy-saving policy is actively pursued, investments in this sphere, including heat, can be very profitable. Their attractiveness is only growing. Investments can amount to tens of billions of dollars." Meanwhile, experts are skeptical about the prospect of increased investment in Ukraine in the short term. "My forecast for 2018-2019, given that this year is a pre-election year (in the spring of 2019 there will be presidential elections and in the autumn – parliamentary elections), there will be no significant investments in our country. Naturally, someone will make money, but, most likely, this will be our oligarchs. And there will probably not be foreign investments in new facilities and projects. In all countries, the pre-election year is not the best time to invest as populism will be growing throughout this period and it is not clear where it will lead," Kushniruk said. Neskhodovsky believes that the problem today is that the investor interest is not being implemented. It is being constrained by risks - the level of corruption, difficulties with obtaining various permits, and insecurity of private property rights. Therefore, no growth in investment is particularly worth expecting. "So it turns out that there is interest, but no one is going to go in yet, and they won’t. Perhaps, in 2018, the volume of investment will grow - after all, positive changes are taking place. Simply, the volume of these injections will be small, very modest," the expert said. It’s up to authorities to ensure more investments. It is in their power to eliminate all obstacles and risks voiced by experts. There are no new challenges – there are just those old chronic diseases, which are a No 1 task to cure. And Ukraine doesn’t have much time. Otherwise, it will lose its attractiveness together with the investors' faith in the country’s viability. If the government does everything right, then instead of $8 billion of investment projected by the Ministry of Economy, in 2020 we will get the necessary $20 billion to ensure stable growth.